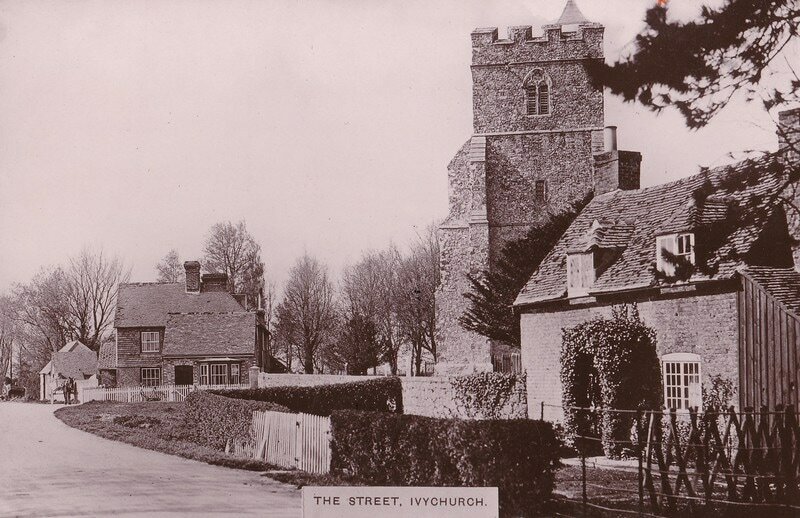 Unlike most postcard shots of Ivychurch which concentrate on the pub and the church, above we see a shot taken from the far side of what would become the village green and Oasthouse Field. The houses on the left no longer stand, but are on the site of The Gardens. The image below is dated between 1914 and 1920 by the dress style of the lady on the bicycle. 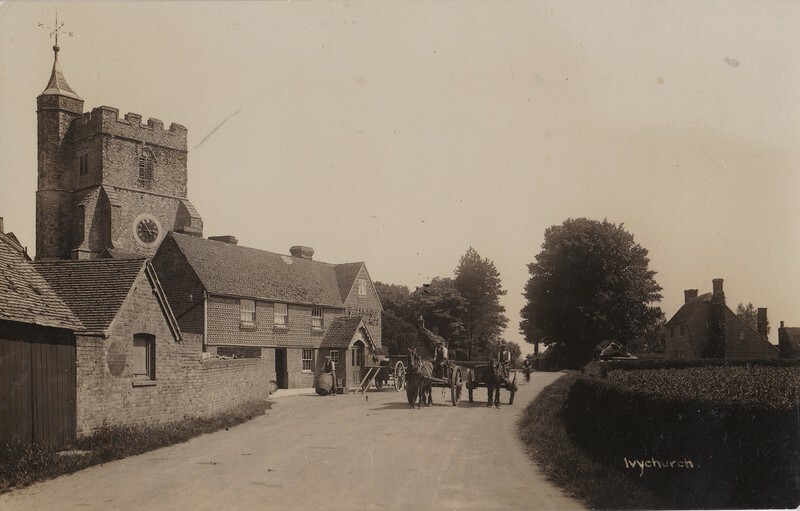 Oakpeg Cottage (formerly Rose Cottage can be seen on the right) . 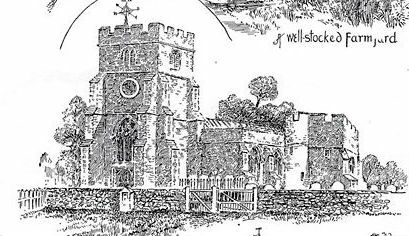 Sketches of Ivychurch from Charles Igglesden's Saunter Through Kent Volume 21. Compare with these modern-day photographs & and early 20th photograph (below) of the same views.